When last we discussed Robopocalypse, it was to share director Steven Spielberg’s wish for Chris Hemsworth to play the lead. Now, it appears that Spielberg would also like Anne Hathaway to join the picture opposite Hemsworth. While the pairing surely has huge box office potential, Spielberg will still need a producer. Cue Tom Rothman, the outgoing head of Fox, who will join the picture in a producorial capacity. 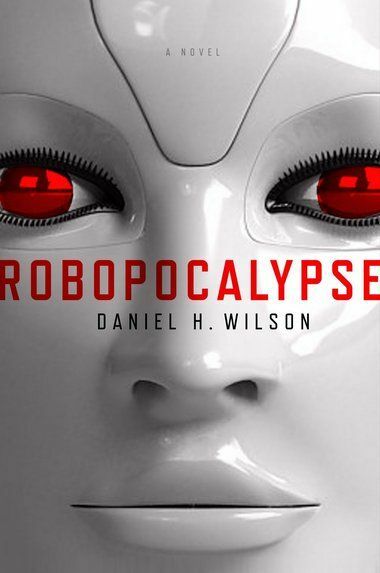 Robopocalypse is based off of Daniel H. Wilson’s source novel, which takes place in a future where “artificial intelligence known as Archos comes online and assumes control over the global network of machines that regulate everything from transportation to utilities, defense and communication.” The film will roll into production in early 2013 and will be released on April 25, 2014 day and date worldwide. Hit the jump to read the full press release. Los Angeles, CA(September 24, 2012) – Tom Rothman will come on board to produce the science fiction epic, “Robopocalypse,” it was announced today by Stacey Snider, Partner and Co-Chairman of DreamWorks Studios. Steven Spielberg is set to also produce and direct the DreamWorks and Twentieth Century Fox co-production. Tom Rothman recently resigned after 18 years at Twentieth Century Fox, the last 12 as Chairman and CEO. His transition will take place over the remainder of the year. Fox films made during his tenure earned over $30 billion at the worldwide box office, were nominated for over 100 Academy Awards, and won three Best Picture Oscars.